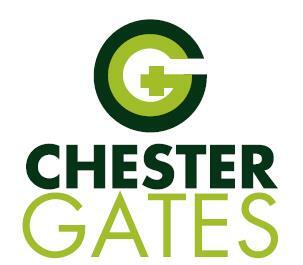 ChesterGates Referral Hospital opened in May 2004 and state-of-the-art veterinary care for small animals. It is equipped with a comfortable reception area, 9 consulting rooms, 5 operating theatres, separate dog and cat hospital wards, a laboratory, laser surgical units, digital radiography, fluoroscopy, endoscopy, electrodiagnostics, colour Doppler ultrasonography, a hydrotherapy suite, an ICU and an in-house veterinary MRI centre. The hospital is serviced 24 hours a day by a specialist team of veterinary surgeons and nurses who have all chosen to dedicate their lives to the care of sick animals. ChesterGates receives referrals in anaesthesia, behaviour, cardiology, diagnostic imaging including veterinary MRI, dermatology, emergency medicine and critical care, neurology, ophthalmology, rehabilitation, and surgery including neurosurgery, soft tissue and spinal surgery.